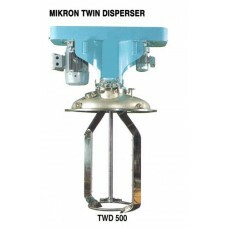 MIKRONS® Dual Shaft Disperser are mixers that will disperse pastes far too heavy for single shaft Speed Dispersers in excess of 300,000 centipoises. 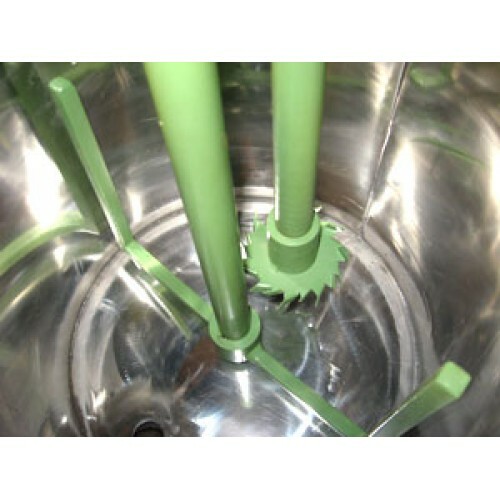 This MIKRONS® dual mixer is a two machine in one combining the dispersing action of a high speed shaft and disc impeller with the high shear action of the heavy duty open impeller. 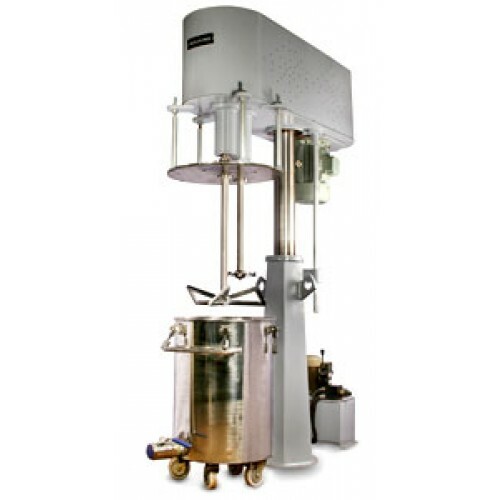 To increase the dispersion of high gloss coatings, and in many cases eliminate the need for sand milling of fine grind finishes. 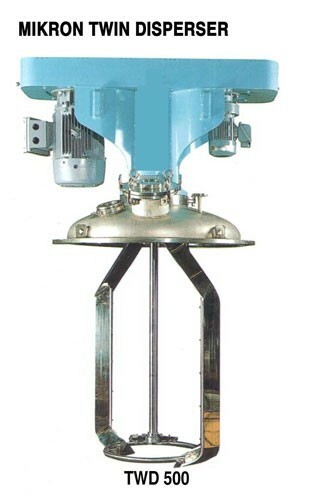 TSM is suggested, which has two high-speed shafts, each with variable speed and two impellers.